Whether you’re the most in demand woman in Ireland for Valentine’s Day or all loved up we have Wednesday 13th February all wrapped up for you, get your pink top at the ready for Galentines's! This Valentine’s Day we want you to round up all the gals and celebrate with the biggest and best movie marathon in history. We have put together a small list of some of the most historical films to date, so get some of your favourite drinks in and have a quote-along day with some of the most iconic and must watch files of our time. That’s so fetch. Yeh, we got you. We have to give Ariana Grande some credit for this as it was the woman herself who inspired this list with her single ‘Thank U, Next’. The record busting single famously featured OG Mean Girls Aaron Samuels, Jonathan Bennett, who is always a plus to see! 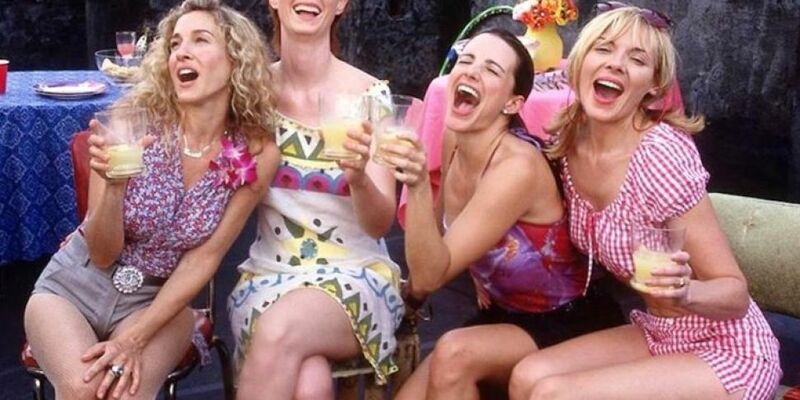 We here think, that the classic chick flicks needs to be highlighted and no better time than Galentine’s Day. So with no need for an introduction and in no particular order here is your Top 7 Films for Galentine’s Day! We are giving you plenty of time to round up the girls and enough time to get your snacks and drinks ready for the 13th February for the ultimate romantic Galentine’s to date. ‘Thank U, Next’ to bae for the full 24 hours and enjoy some time with your girls.